Got plans this weekend? There's no better time to enjoy a boat show than the springtime, when it's still too cold to boat in many parts of the world, but not for long! This weekend's events will get you primed for the upcoming boat season. Okay, the other boat shows this weekend don't fall into such a nice pattern, but we'll tell you about them anyway. We recommend the Gulf Coast Yacht and Boat Super Show in Orange Beach, Alabama, to support the recovery in that area. Also happening this weekend is the Texas International Boat Show in Corpus Christi. And if you happen to be in Venice, Italy, and are looking for something nautical to do, check out the Nautic Show at the Marina of Jesolo. Only a few more weeks until SailQuest arrives in Connecticut, May 13 - 15, 2011. 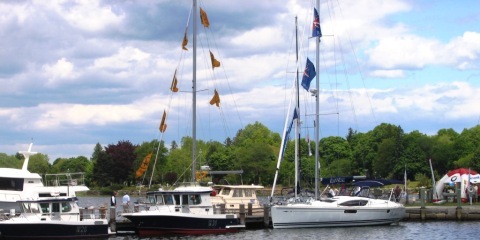 This is in-water boat show is located on the grounds of historic Mystic Seaport. 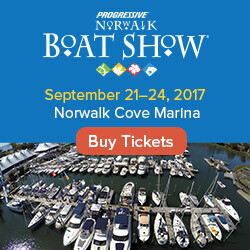 Discounted boat show tickets purchased in advance also give you access to Mystic Seaport’s exhibits. For the coupon code and more information about the show, visit the SailQuest page at Windcheck Magazine's site: here. 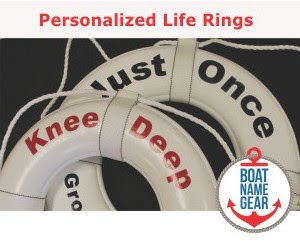 Details about these and other events, including links to the official show websites, are on our calendar of boat shows.